Today I read a headline in our local paper and it hit home (again). 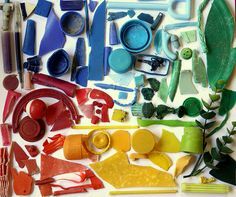 The issue of plastic and marine pollution. The gist of this article explains how our own ocean research shows micro-plastic particles are abundant in Australian waters (stereotypically often we think of clogged Asian estuaries or major US city rivers to be the problem). Fortunately, the issue is not dire yet, we “only” have 4000 pieces of plastic per average square km of sea. By contrast, the “Great Pacific Garbage Patch”, that awful human plastic soup between the United States and Japan, contains several hundreds of thousands of pieces of plastic per square kilometre. So we’re pretty lucky. We’ve observed (after only a short summer here) that Adelaide beaches are very clean. But this is no reason to be complacent. It is time to reduce our plastic use. This photo is from my old home beach, on the shores of the freshwater Lake Ontario, Canada. 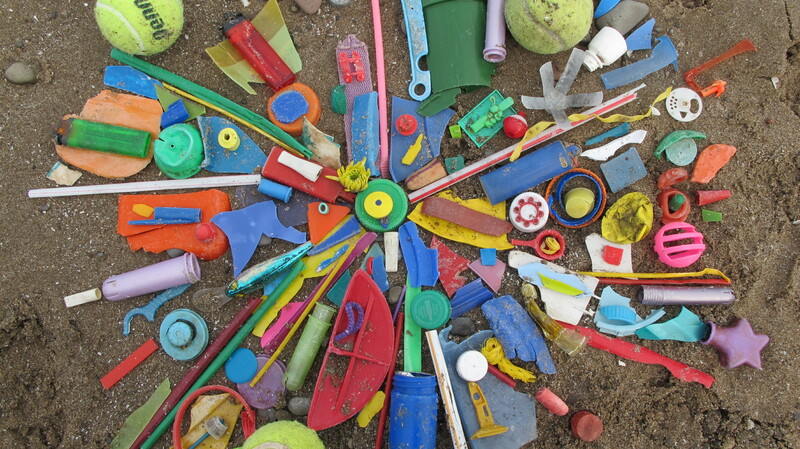 To try & reconcile my disgust at the volume of plastic material washing up on that beach I used to create little installations, little mandalas to try & express some kind of hope, beauty & order out of the collections of junk that I felt compelled to remove from my favourite wild shorelines. But this is the end of the pipe, a teensy eye-dropper of a cure, hardly the full-scale prevention we need ! We never buy water in plastic bottles, a major scourge, and always bring our bags. Small things, I know. But small too are those individual little “nurdles”, those teensy bits of plastic floating around in our gorgeous sea. Together they add up to alot.